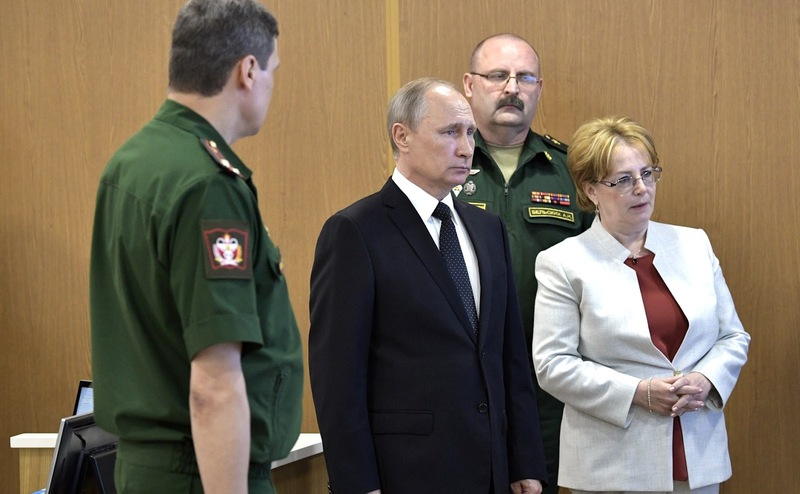 Visit to the Kirov Military Medical Academy Clinic. 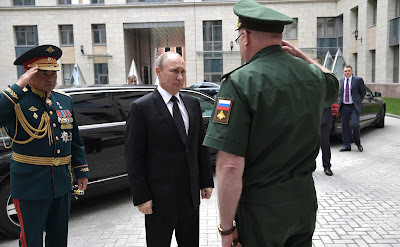 Putin.BLOG Armed Forces Healthcare Visit to the Kirov Military Medical Academy Clinic. 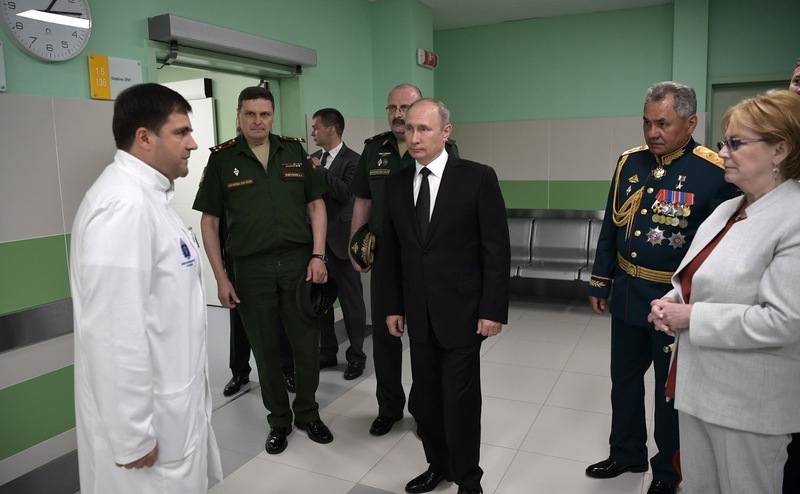 Vladimir Putin visited the Multidisciplinary Clinic of the Kirov Military Medical Academy. Vladimir Putin visited the Kirov Military Medical Academy Clinic. The clinic boasts seven multi-story buildings, with a total area of 150,000 square meters, and is fitted with the latest medical equipment, which can provide simultaneous in-patient treatment to 630 people. 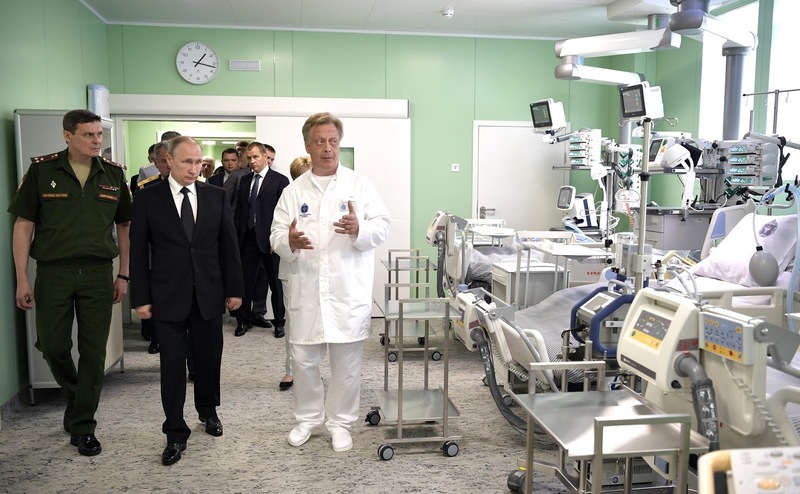 The President was told about the features of the medical facility and treatment methods used. Vladimir Putin toured the diagnostics and intensive care departments and learned about the work of the situation center for coordinating medical maintenance, which, in particular, can hold telemedicine consultations through video link. The President also visited the dialysis department, the ophthalmology clinic and operating rooms. 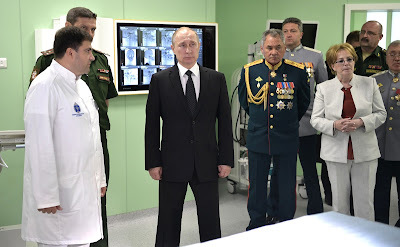 Vladimir Putin during a visit to the Multidisciplinary Clinic of the Kirov Military Medical Academy. Vladimir Putin signs the distinguished visitors’ book during his visit to the Multidisciplinary Clinic of the Kirov Military Medical Academy. Russian President visiting the Kirov Military Medical Academy Clinic. Vladimir Putin with Russian Defense Minister Sergei Shoigu and Healthcare Minister Veronika Skvortsova. 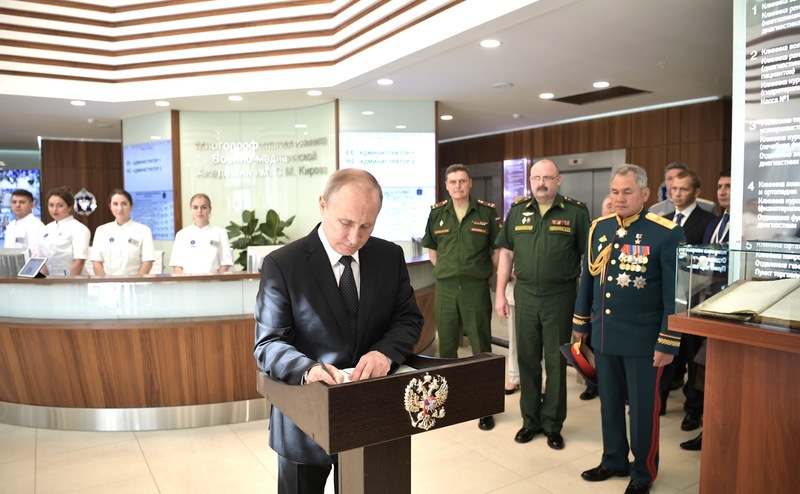 0 Comment to "Visit to the Kirov Military Medical Academy Clinic."